As we near the end of 2015, I cannot help but reflect on just how much we have done to build awareness for suffering dolphins across the world. This year, Dolphin Project has been involved in several high-profile projects as well as initiated critical campaigns in Italy, France, Finland, Austria, Mexico, UK and the U.S., all geared towards ending the abuse inflicted on these ancient mammals. 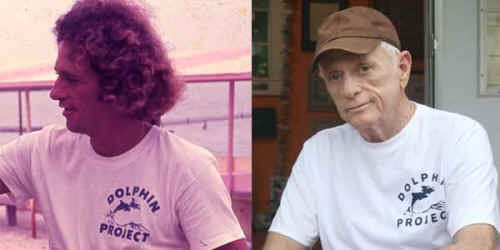 Ric O’Barry helped launch Dolphin Project Italia, a new venture with Cetaceansound-Italy, to collaborate on a care and protection center for dolphins. Team members Lincoln O’Barry and Dr. Sarah Meltzoff traveled twice to Fanalei in the Solomon Islands to help local dolphin hunting tribes transition away from their centuries-old drive slaughter. 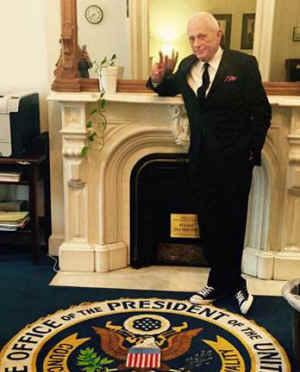 Ric O’Barry traveled to The White House and met with members of the Obama Administration to deliver a petition demanding an end to the Taiji dolphin drives with over 1 million signatures. The names of those who signed the petition were later projected onto the Ronald Reagan Center. Ric took a historic trip to Beijing, China, where he educated a Chinese audience on the atrocities taking place in Japan, while introducing a new book he has co-authored, The Cove. The press tour included four of the largest cities in China. Dolphin Project and RYOT created the world’s first 360-degree wild dolphin immersive virtual reality video. Watch on your smart phone and "swim" with wild dolphins from the comfort of your own home! Dolphin Project teamed up with Harry Styles and Maisie Williams on the #DontGotoSeaWorld campaign. This caused a 400% spike in negative comments online about SeaWorld. As we enter our 46th year, we are more committed than ever to end the abuse and suffering of dolphins worldwide. We invite you to be part of the "good fight" and thank you for being on the right side of history.